WHISTLER, BRITISH COLUMBIA – Fred Couples famously exclaimed in 1998 that Whistler, BC was the greatest place to play a round of golf. The increasing number of people that book golf packages, sometimes in unison with ski packages, to Canada’s best golf courses in Whistler know what he was referring to while making Whistler one of the world’s best outdoor destinations. Couples was not the first golfer to discover, embrace and enjoy the beauty that is Whistler, BC. From the first fishermen who camped out at nearby Alta Lake in the early 1900s to the first downhill skier who traversed Franz Wilhelmson’s Whistler Creek ski run back in 1965, Whistler has grown into one of the world’s greatest outdoor getaways. Whistler Mountain Resort got the British Columbia resort area up and running when it opened in 1966, and when Blackcomb Mountain was unveiled in 1980 it cemented Whistler as one of the premier ski destinations in the world. Because of the boon, Whistler is the most expensive place in Canada to live, but still a bargain when you compare BC to prices in Aspen. Whistler received an infusion of cash with a 2010 Winter Olympics, which brought the world’s attention to Vancouver and Whistler. In 2000 Golf Digest picked the Top 50 Golf Resorts in the World and Golf Whistler was listed at No. 19, making it the No. 1 golf resort in Canada. All four Whistler area golf courses – Nicklaus North, Big Sky, Chateau Whistler and Whistler Golf Club – are award-winners. BC’s Crabapple Creek, Wedge Mountain views, risk-reward holes, pines and firs and bears in the fairways – that sums up the Whistler Golf Club designed in 1982 by Arnold Palmer. “Its gently sloping fairways and nine lakes, makes this 6,676-yard, par-72 track fun to play while on a golf/ski vacation to Whistler, British Columbia,” said Jake Silvia, a BC golf expert. Whistler Golf Club was the first golf course built at Whistler, and the first Canadian design by Palmer. Immaculate conditioning, contoured fairways, snow-capped vistas, placid Green Lake, forested valley – all these features make the newest golf course, Nicklaus North, a prize round to play while on a golf vacation to Whistler, BC – so be sure to book it in your golf package when in Canada. This is a softer Nicklaus design, but the par-3s are tough stuff – four of the five require precise shots over water. No. 17 is the signature hole, hefty at 226 yards from the back and the green bends peninsula-like into the lake. Strike it on a direct line to the pin over water, or draw it from dry land toward the hole. If you make par here you earned it.The finishing holes curve around glacial-fed Green Lake and No. 16 features an approach over a rapid Fitzsimmons Creek. When you arrive at No. 18 and the stunning clubhouse, you will enjoy mountain views and spy a seaplane that transports golfers here. This 6,925-yard, par-71 layout, the only one to bear the Nicklaus name, just might be your favorite round at Whistler, BC. 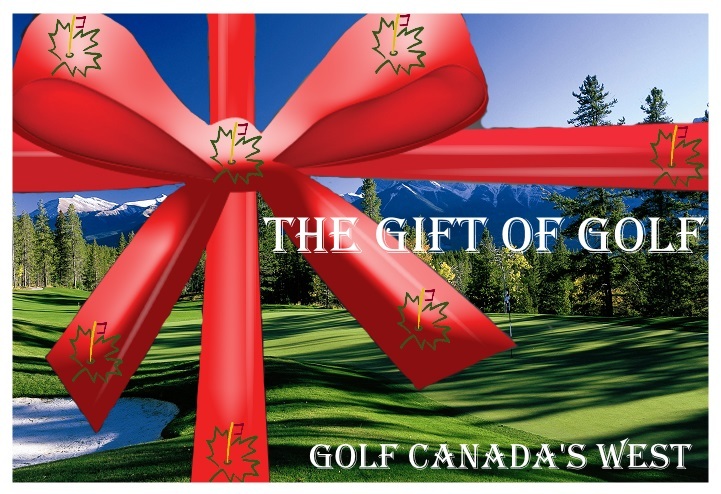 In 1993 the Canadian Pacific golf vacationers came to Whistler with its Fairmont Chateau Whistler Resort and Robert Trent Jones, Jr., Chateau Whistler Golf Club. These are the same people who brought you Banff Springs and Jasper Park Lodge, which includes those spectacular golf courses. Chateau Whistler Golf Club is true mountain golf laid out at the base of Blackcomb Mountain with big-time elevation changes, granite rock outcroppings, 100-year-old stands of Douglas-firs and rumbling rocky streams littered with fallen limbs and tree trunks. The course seems short at 6,635 yards, but this par-72 has a slope of 142 and some uphill, downhill and other funky lies make it plenty challenging and a great test on your golf vacation to BC, Canada. “It’s fun and a huge boost to your ego to play some of the downhill-running holes, and watching your ball roll out for maximum yardage,” said Richie Charles, a BC golf expert. Judging the right distance on holes like the par-4 No. 3, an uphill 399-yarder, will be as tough of a test as any in your golf package. The green is tucked into a canyon surrounded by the Horstman River. Another beautiful hole is the par-3 eighth, which funnels down 212 yards to a green with a granite wall on the right and a lake on the left. A 25-minute drive north of Whistler, BC is Big Sky Golf and Country Club with a spectacular setting below towering Mount Currie. This is the Pemberton Valley in British Columbia, where you might be surprised at how warm it is in summer. Canadians call it a mini-banana belt because you can play from mid-April through mid-October. Big Sky opened in 1994 and the layout follows seven lakes joined by a twisting creek at 600 feet above sea level, just about 1,600 feet lower than the courses of Whistler, BC. The Coastal Mountains on this flat valley course where potatoes once grew are visible Longer holes play into the wind and shorter ones benefit from the easy British Columbia breeze. Some movement to the land was added in construction, and you must be precise on some greens or your approach will feed off the putting surface into grassy hollows. That Fred Couples thought about Whistler, BC being the best place in the world to golf will run though your mind multiple times on your golf vacation to this paradise in Canada. Book a golf package to Whistler and walk away as one of the special chosen ones that have played golf, and maybe even went skiing, on the same day.